Whilst SMSFs have many advantages they are not suitable for everyone Learn the basics of what an SMSF is and criteria for establishing an SMSF. Simply fill in your details to start this free course instantly. There are almost 600,000 self-managed super funds (SMSFs) in operation in Australia. Whilst SMSFs have many advantages they are not suitable for everyone. Learn the basics of what an SMSF is and criteria for establishing an SMSF. Consider the options for a corporate trustee versus being an individual trustee and the laws involved in managing your own super fund. This module is part of the course. 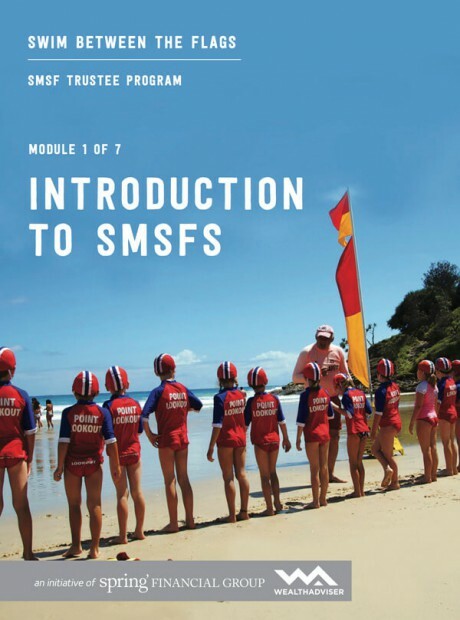 If you are serious about learning about SMSFs why not consider our ‘Swim between the flags’ SMSF Trustee Program.